The first notable interaction between Jews and Aborigines occurred during the 1840\'s when Isaac Nathan, - known as \"the father of Australian music\"- began collecting Aboriginal music and recording their ceremonies and customs. 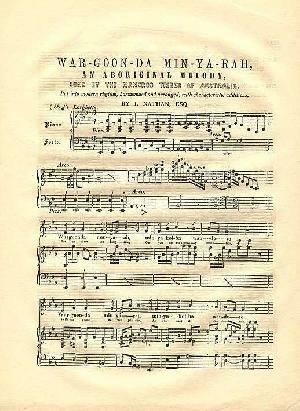 The image is of Nathan\'s score for War-Goon-Da Min-Yah-Rah, a song of the Maneroo tribe. 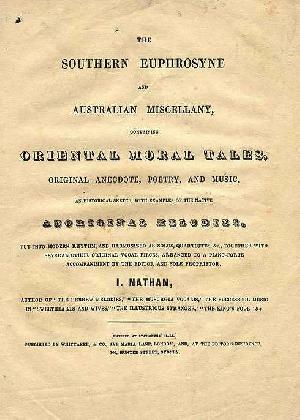 Isaac Nathan\'s book, Southern Euphrosyne, published in both London & Sydney in 1849, is a compilation of aboriginal music, and of aboriginal customs and ceremonies. Includes a very strong statement by Nathan of the educational potential of aboriginal children. 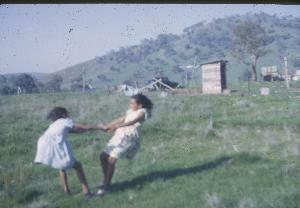 About 1860, the large Solomon family commenced trading and farming in the Eden Monaro district. At Eden, the Solomons joined forces with a Mr Davidson, running a shore-based whaling station at Twofold Bay, employing mainly aboriginal workers in this demanding industry. The Solomon/Davidson whaling operation ceased about 1916. 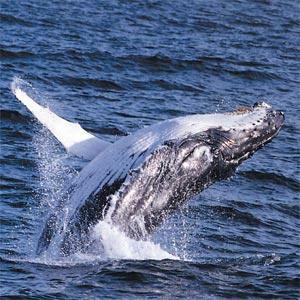 The spiritual beliefs of aboriginal whalers were recognised by the Solomon Davidson management. 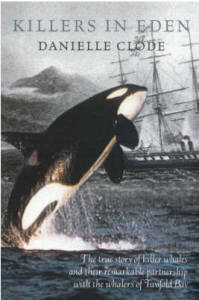 The Yuin refused to kill whales and established a partnership with the orcas (or killer whales) in which the orca pack herded whales which were killed by Yuin whalers, who fed choice parts to the orcas. 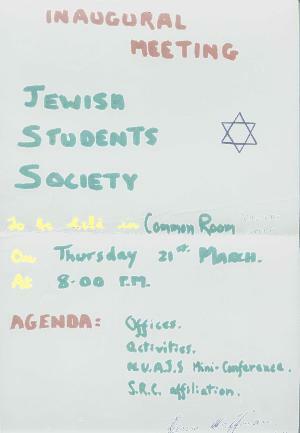 One of several posters placed about campus to advertise the inaugural meeting of the ANU Jewish Students Society, on March 21. 1963. 14 attended - a large number for the ACT Jewish population of about 150 - but very small for a viable society. 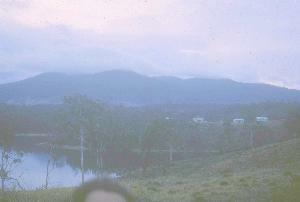 Wallaga Lake is on the far south coast of New South Wales, just a few km north of Bermagui. 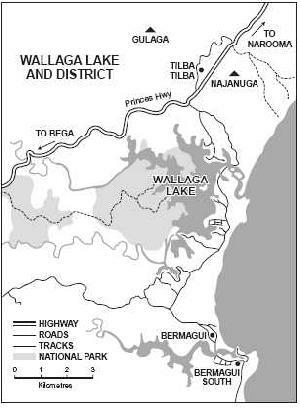 In 1891 the Wallaga Lake Aboriginal Reserve was established with a population of just 91 Yuin people. 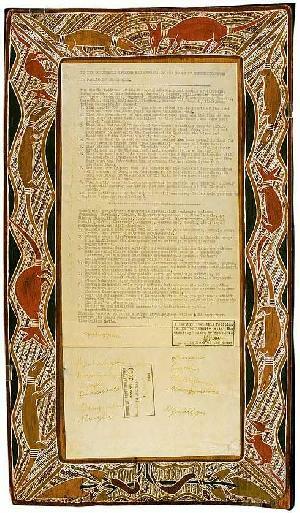 The two Yirrkalla petitions were presented to Federal Parliament in August 1963. These bark paintings are arguably the first claims made on the basis of indigenous law. Assisting in preparing this petition was Labour MP Kim Beazley (senior). The sixties were in the US the era of the Civil Rights movement. In Australia, concern for the situation of aborigines grew. 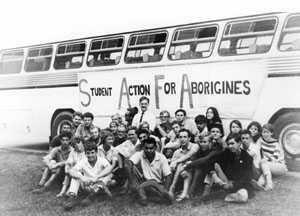 Late 1964 ANUJSS opted to research non-political, grass roots means of improving the situation of aborigines.